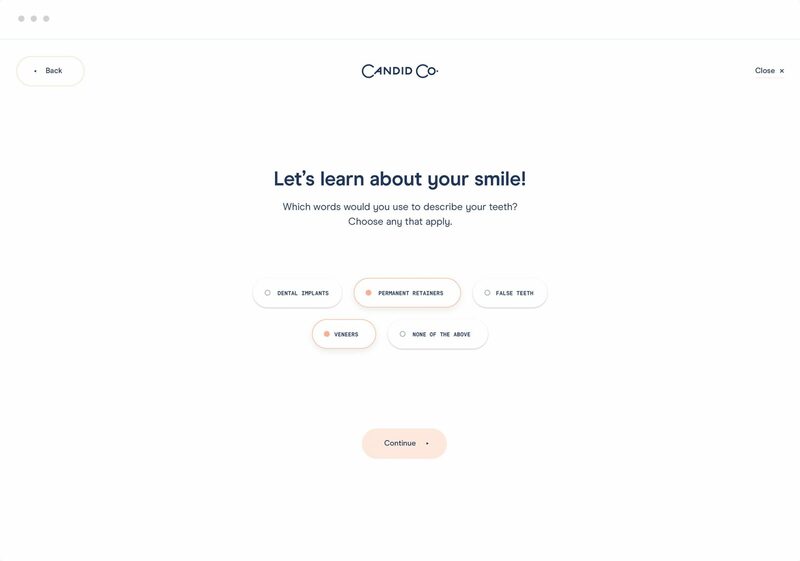 Candid is a startup business that specialises in teeth straightening providing affordable, and effective orthodontic treatments to consumers via mail order and stores. 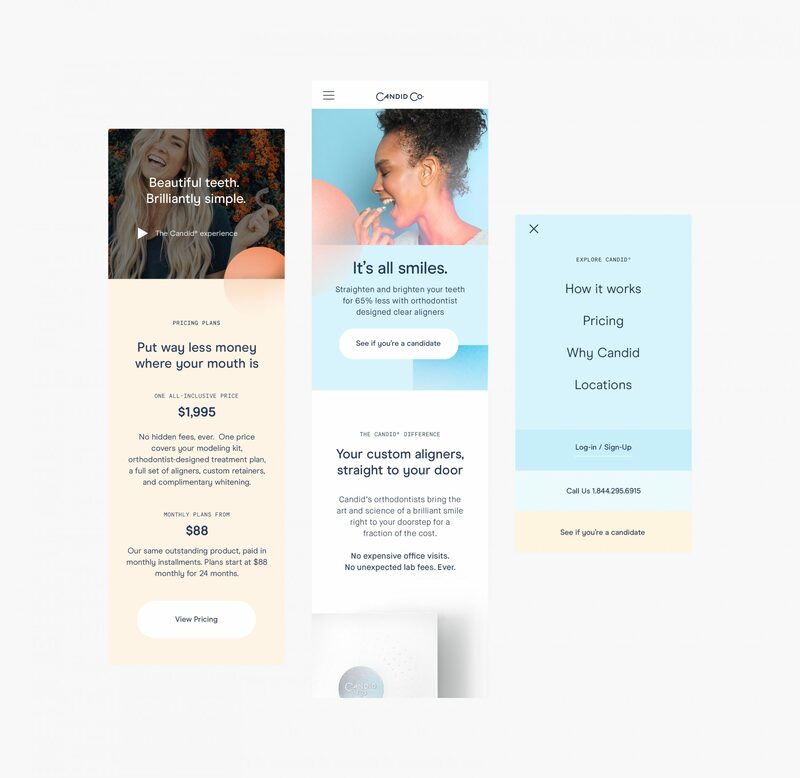 Candid asked us to help design a new look and feel for their commerce platform. 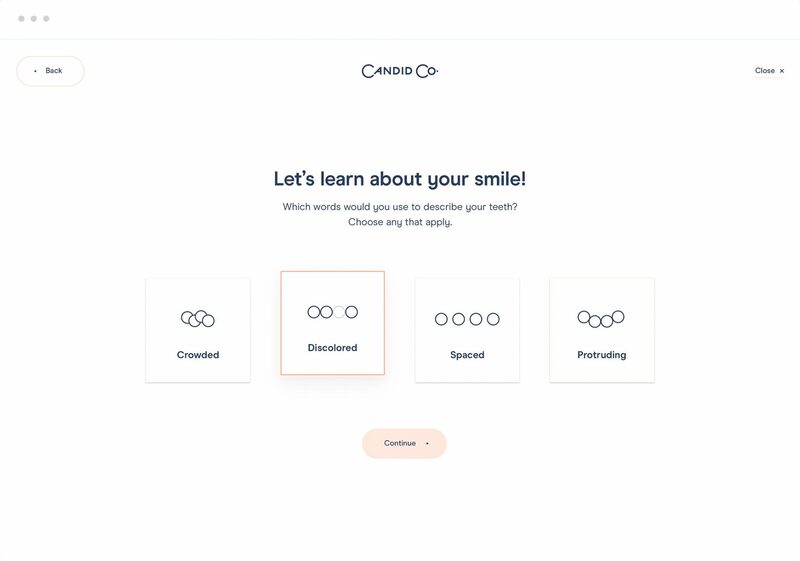 As part of the brief, we looked at multiple design directions for the online presence as well as how it applied to their onboarding application and post-sales support tools. 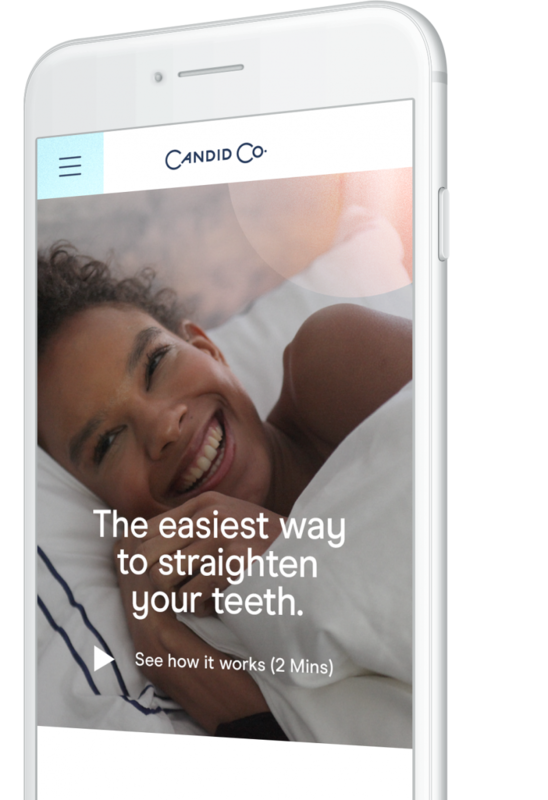 Candid helps people get the smile they’ve always wanted at a price they can afford. Sounds easy, but the brand has worked hard to deliver on this promise. We were tasked with helping the marketing and brand team develop a new design aesthetic for the site that would help them stand-out and shine. 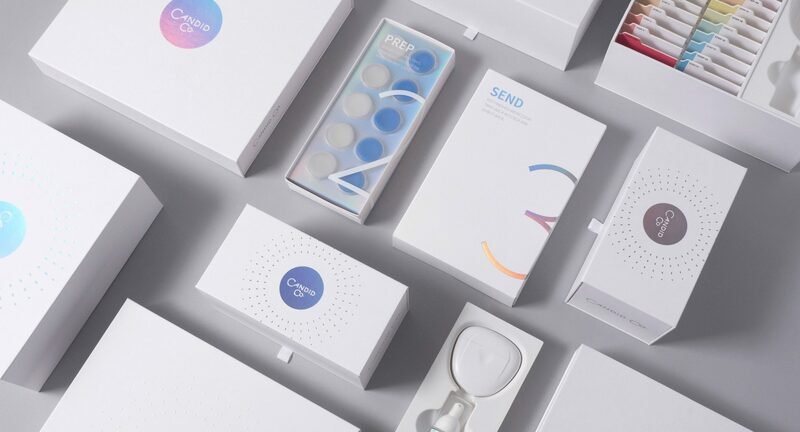 Working closely with Candid we were able to establish a new design look and feel for the online store, as well as help shape the brand’s consumer applications. 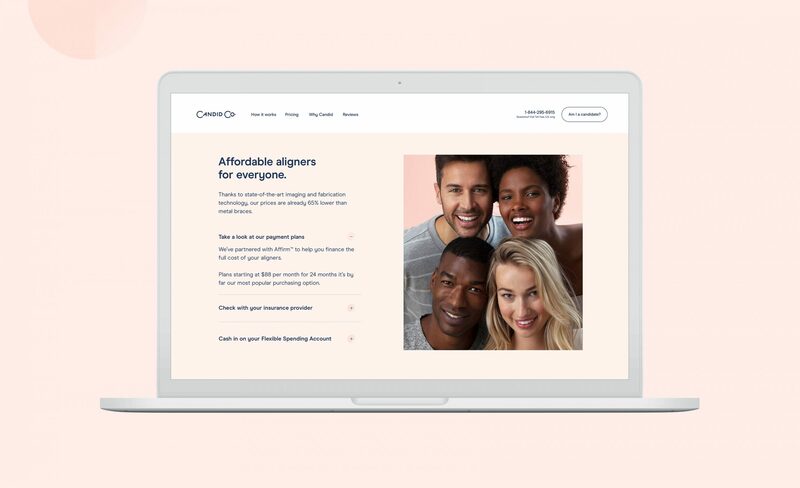 Candid customers complete an at-home impression kit, and in a matter of weeks, Candid will send them their custom clear aligners all via the mail. Aside from the .com experience we also tackled the consumer MVP app that helps guide how to use the product, track progress, and of course, providing support.